Clostridium vaccine is delivered in animals to fight against the clostridium family of pathogens/bacteria. Clostridium vaccine chiefly acts against bacteria species such as clostridium chauvoei, clostridium tetani, clostridium sordelli, clostridium botulinum, clostridium heamolyticum, clostridium novyi, clostridium perfringens, and clostridium septicum. Factors such as rising concerns regarding the health of companion as well as commercial animals and the rising prevalence of zoonotic diseases are driving the growth of the clostridium vaccine (animal health) market globally. The report presents a detailed account of the past and present state of development of the global clostridium vaccine market. The report is a comprehensive document that focuses on analyzing the key trends influencing the demand and supply patterns of the global market for clostridium vaccine (animal health). It attempts to present insights on the demand dynamics typical to the market, how it has changed over time, and how it will shape up over the forecast period from 2017 to 2025. It has been compiled with the intent of helping stakeholders make informed decisions and plan their future strategies accordingly. The global clostridium vaccine (animal health) market is segmented on the basis of criteria such as animal species, distribution channel, by geography. Based on animal species, the market has been further segmented into 6 major sub segments namely, bovine, ovine, caprine, swine, poultry and others. Among these segments, swine accounts for a significant share in the overall market in terms of revenue. Focus on immunization of swine is rising gradually due to increasing demand for pork across the globe, which requires hygienic condition for the breeding of swine for the meat to be healthy for human consumption. The bovine market is expected to grow at a steady pace over the forecast period owing to the rise in livestock goods such as milk and dairy products. Based on distribution channel, the clostridium vaccine (animal health) market has been further segmented into veterinary clinic, veterinary hospital, veterinary research institute, and retail pharmacy. The veterinary clinic segment accounts for the dominant share of the global clostridium vaccine (animal health) distribution channel segment, followed by the segment of veterinary hospital. The rising demand for retail pharmacy is likely to support the growth of the clostridium vaccine market. Veterinary clinic and veterinary hospital are the most preferred distribution modes in developing countries such as India and China. Geographically, the clostridium vaccine (animal health) market has been categorized into regions such as North America, Europe, Asia Pacific, Latin America and Middle East and Africa. Of these, the market in North America accounts for the dominant share in the global market, followed by Europe. Rising incidences of blackleg & black diseases and increasing awareness for diseases increased the vaccination in livestock animals likely to support the growth of clostridium vaccine (animal health) market in North America. Demand for clostridium vaccine in North America is high due to increasing prevalence of diseases in swine which is a key source of livestock good for human consumption. The poultry segment is expected to expand at a high CAGR due to increasing awareness for clostridium disease. The market in Europe is expected to increase during the forecast period due to increase in demand for livestock products and increase awareness for zoonotic diseases. In terms of revenue, Germany and the U.K. are the leading countries in Europe in the clostridium vaccine (animal health) market. Asia Pacific is the most attractive market and expected to increase at the highest CAGR during the forecast period from 2016 to 2024 due to rising awareness for the livestock animals and there products expectancy for day-to-day utility. The global clostridium vaccine (animal health) market features a largely consolidated vendor landscape in which a relatively small number of companies account for majority market share. 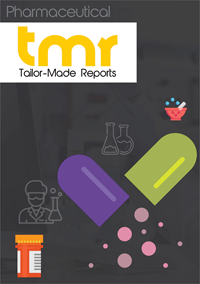 Leading players operating in the global clostridium vaccine (animal health) market are Zoetis, Inc., Merck Animal Health, Sanofi-Aventis (Merial Animal Health), Boehringer Ingelheim, Eli Lilly and Company (Elanco Animal Healthcare), Vibrac Corporation, Bimeda, Inc., Ceva Sante Animale and Bayer AG. Among these, Zoetis, Inc., Merck Animal Health and Sanofi-Aventis (Merial Animal Health) exhibit the largest geographical outreach with presence in multiple animal species disease/ disorders and their treatment options.